The son of a Scottish immigrant, Hamilton was born 1832 in Le Roy and grew up on a farm. After a brief time spent as a teacher in the upper midwest, Hamilton returned to Caledonia, married Jane Vallance, and had five children. Hamilton was a leading figure in the community, praised by James Smith for his "invincible energy and active business ability." He died in 1912. 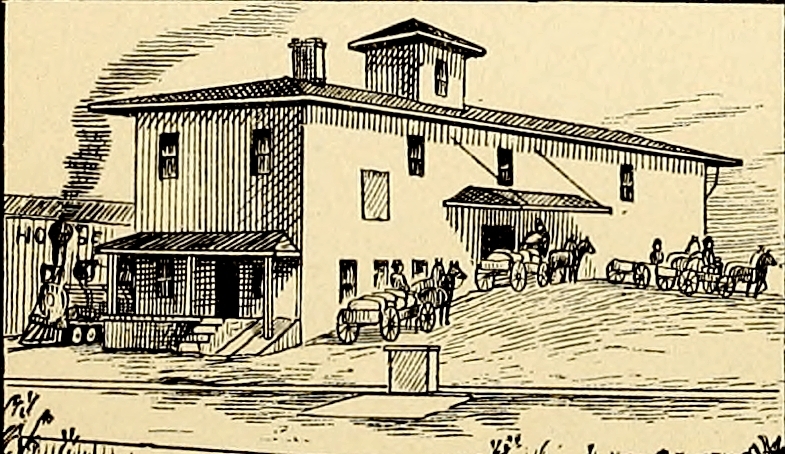 These engravings show a portion of his property located next to the New York Central RR, the elevator inset and enlarged as a separate file. Lyth, J. (John), 1821-1886, “Residence, Warehouse and Elevator of Wm. 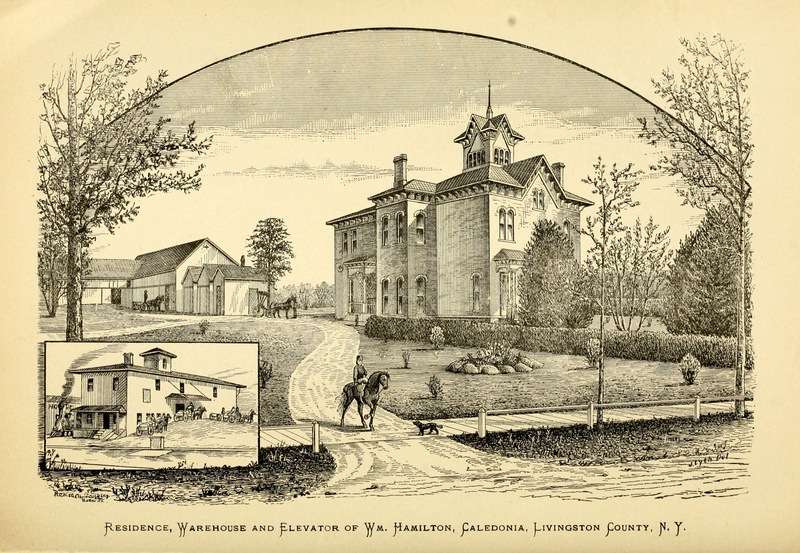 Hamilton, Caledonia, Livingston County, NY,” OpenValley, accessed April 22, 2019, https://openvalley.org/items/show/915.